Directional specular lightmap has been removed. For indirect specular, use Reflection Probes, Screen Space Reflection (SSR), or both. However this mode is the lowest quality mode for Unity 5.6, so try other modes to see if they are a better fit for your projects. We highly recommend the Shadowmask (see the Shadowmask page and the Distance Shadowmask page in the online lighting section of the 5.6 User Manual, especially if you were using the now-defunct Directional Specular lightmaps before). The default for new Unity 5.6 projects is Distance shadowmask mode. (See the Distance shadowmask page in the online lighting section of the 5.6 User Manual). 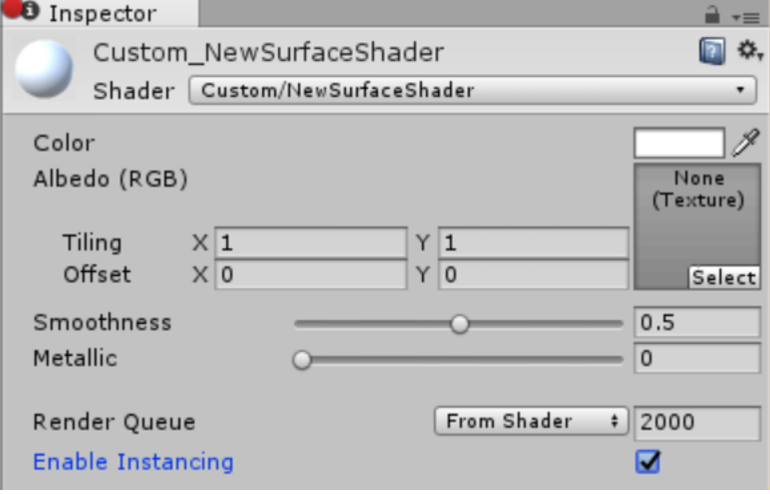 Note that the checkbox is not checked automatically as it’s impossible for Unity to determine if a Material uses a pre–5.6 Shader. An upgrade error is also imposed on SpeedTree Assets to help you regenerate the SpeedTree Materials, so that you can have Enable Instancing checked. To use Dynamic Batching, open the PlayerSettings (menu: Edit > Project Settings > Player). Open the Other Settings section and, under Rendering, tick the Dynamic Batching checkbox and untick the Graphics Jobs (Experimental) checkbox. Note that these are the default settings for projects created in 5.6.